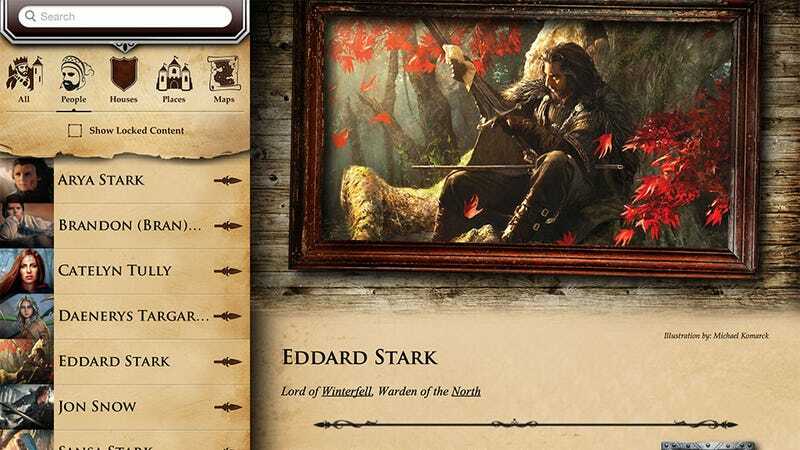 Random House Publishing and Fantasy Flight Games have teamed up to release A World of Ice and Fire, a stunning guide to the people and places of Westeros. While it's free to download, you're only given a limited selection of content; to unlock the full range of entries, you're going to have to pay. But that may well be worth it if you're the type to get lost while watching the show/reading the books, as the articles are detailed, have fantastic art (much of it from the official Fantasy Flight board game) and, best of all, many of them drop a pin on a map of the world to let you get your bearings.